Chief Minister Nara Chandrababu Naidu has given special attention to the Nandhiya constituency while granting funds for development works with crores of rupees, development of roads across the town, construction of roads and pipeline constructions are going on fast. In the next two months, the expansion of roads in full swing does not cause traffic problems. There is speculation that the Chief Minister has a special opinion on the rumors and that the Chief Minister will compete with one of the family members from this constituency. With the promotion of real estate traders, the Nandhiyas will soon be in the development of the development and the wings have gone up and the prices have gone up. The resulting space is Rs. From 5 lakhs to 15 lakhs. The real estate and building industry is producing three flowers and six nuts, constructing residential houses and plots of land in the urban suburbs. Nandigala urban development is rapidly rising and the Nandhi SS SS tank from Reservoir under the Amrith scheme to prevent drinking water from the town of Gandia. With the cost of the construction of the pipeline with the cost of 137 crores, homes and homes are falling ashamed. Kadapa district is also making efforts to buy places, farms, and homes in the town of Nandyal. So far, the works that could cost Rs. 100 crore for construction of CK Roads, Drinks, and Pipelines, under the auspices of the Municipal Corporation of Sandhya. There are works worth Rs 50 crore under the guidance of Roads and Buildings. On the other hand, people looking to expand their roads from Gandhi Chowk to Sai Baba Nagar Center are interested in establishing a stabilization. Employees who have gone to work in the past have also been looking towards Nandhi. The Sandhya town is said to have improved transportation from all sides. Kurnool - Chittoor National Highways are running rapidly on Kundunadhi near Nandhi. If these works are completed within three months, vehicles moving from Kurnool to Kadapa cannot come to Nandhiya Town and have a chance to get some trouble with the traffic problems. The bridge is also completed by the end of this month and the bridge will begin in March. From Kurnool and Banagana Pallai, vehicles coming from Kundu Bypass road can be reached directly from the railway gate to the town. The R & Broad is also developed by R & B. Roads from Gaddafi, Kadapa, Kovelakuntla, Banagana Pallai, Kurnool, Nandikothkur, and Nandikottukuru are developed and the motorists cannot afford to get hurt. The Guntur-Guntakalaku powertrains will not run in another month, but by 2020 GM will ensure that the dubbing works will be completed and the Nandhiya-Irrigation Railway passes smoothly as the Nandia Railway Junction. With all the branches working for the development of Nandi all over, there is a dot in the middle-class people who want to get a place for the place. 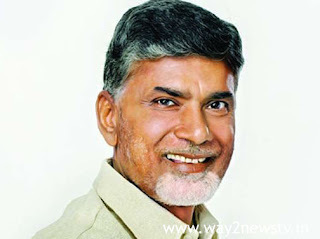 The 13 thousand houses of the Bhumaana Nagar Reddy project, the construction of the house, would be good for the poor. With the opportunity to announce the nuances of the district with all these opportunities, there is no doubt in the development of Nandya as the district of Rayalaseema.